Showcasing a century of iconic movie posters by the medium's top designers, this lavishly illustrated book, Selling The Movie: The Art Of The Film Poster by Ian Haydn Smith charts the international history of the movie poster and how it has lured audiences to movie theaters across the world. Just released this past October, it includes movies from the very beginning of the movie poster, its origins to how it has evolved into selling the film with just a story in a photograph/drawing. That is a lot to ask of one picture. You have to sell the movie with one picture/drawing that will tell enough of the story to get audiences intrigued to they will watch the trailer and then see the film. It is amazing what an art form that is. I want to show some photographs of posters from the book. These are all taken from the book and represent beautiful renditions of movie posters from the past that have given us some of our finest moments in cinema and film. You will enjoy remember seeing some of these movies again just by looking at their posters. Selling The Movie: The Art of the Film Poster was written by Ian Haydn Smith discusses how the film poster has remained the most prolific form of self promotion for films all of these years, from the early 1900's to today. It is the easiest to produce, the cheapest to produce and one of the easiest ways to get viewers to see information about a film. Filmgoers view it on the way in and out of a movie theater. Even in the age of streaming, people still go to the movies more than they don't. It is the act of going out and seeing the movie on the big screen that fascinates people with seeing films. They like the act of social film viewing. This book would make a great coffee table book that anyone would love to pick up and look through. It has so much information you don't want to put it down. It is the most interesting book I have seen in a while. 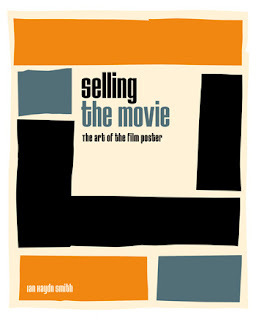 Would make a great gift for anyone who loves movies and movie posters, or films in general. Available online at www.utpress.utexas.edu. May be ordered through www.amazon.com or www.barnesandnoble.com.